The Apprentice: Shakespeare for kids... almost. After meeting at the London Library, old haunt of writers such as Rudyard Kipling, the candidates were tasked with writing a children’s book aimed at 3 – 5 year olds. They would also have to record the audiobook to go with it which would all be printed and assembled overnight to be ready for the teams to head out and sell their products the next day. The only change to the teams was Sam being moved to Connexus with the strong suggestion by Lord Sugar that he put volunteer himself as Project Manager for the task. This was taken on board and Sam was swiftly named PM. Charleine put herself up for PM of Team Versatile as she has children and as such had experience reading children’s books. She was chosen and her suggestion of a metaphorical story helping get rid of a comforter was quickly voted out and replaced with a story explaining where honey comes from. The team then split up with creative staying behind and David, Richard and Mergim sent out to conduct market research at playgroups, much to Richard’s irritation as he was “…used to being on the important team”. Over on Team Connexus, PM Sam spent a long time confusing the team with different morals they could base the story on, different character names and what sort of animal it should be. Selina, Gary and Brett were left waiting for the script to be able to start recording the audiobook. By the time they received it, they felt some of the vocabulary was too complicated for the target audience, but it was too late to do anything by that point, so on they went with the recording! Team Versatile had some disagreements with seemingly simple things such as whether or not a line rhymed. Once they had a script, Charleine couldn’t help but micromanage by calling Mergim, Richard and David about each little thing and despite having made Richard the sub-team leader she refused to speak to him and insisted on speaking to David instead. Despite both teams working up to the wire, they both managed to meet the print deadline. On sales day, Charleine decided that she wanted to pitch to the big booksellers and ignored the fact that Richard was the best man for the job given his previous performances. She gave a cringe-inducing pitch, tripping over her words and not securing any sales in the chain bookstores. Brett, Scott and Natalie of Team Connexus started off in a childrens playgroup where the audiobook was played to the children and they followed along with the book. Parents mentioned that there were words in the book that they wouldn’t even use; the team decided that they would have to sell it as a book that would challenge children. Mergim in a focus group at playgroup. The other half of the team went to pitch the book to chain bookstores and Selina simply named a price for 150 and 50 units, she didn’t bother with negotiation as she later argued “I’m not great at mental arithmetic.” Surely that’s a skill needed to give a proper quote? Finally Charleine went some way to redeeming herself after selling 100 books to the Rainforest Café, but would it be enough to save the team? Back in the boardroom, we saw the usual mix of candidates making digs at each other; Lord Sugar slated bad sales technique, Sam’s indecision as a leader and Charleine’s bad management, not having sent Richard to pitch when he was the obvious choice. However, he also praised Mergim’s opportunism by selling to a focus group. As always, the numbers would reveale all and although there was only a difference of 5 books being sold between the two teams, Team Versatile managed to make over £100 more than Team Connexus. After much deliberation, Sam took Natalie and Brett back into the boardroom with him to face the firing line. Brett, Sam and Natalie face Lord Sugar. 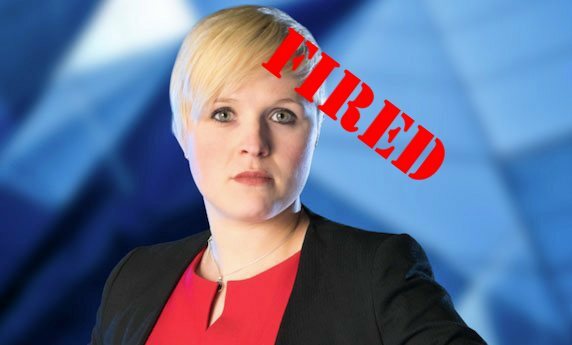 It seemed a close call right up until the end, but it was Natalie who was fired for not thinking before speaking and having pitched badly on more than just this occasion. Brett and Sam arrived back to the house with Lord Sugar’s warnings ringing in their ears. And then there were 13, but who will be unlucky in next week’s episode?